The ES200 series electric strike are high security products manufactured from stainless steel and designed for use with all access control systems. The strikes are suitable for use with hinged doors which require either fir or security control as part of a building management system. 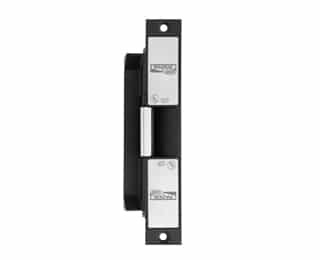 These strikes are flexible and can be changed from fail safe to fail secure, mounted on the left or right side of the door and are available in 12 or 24 Vdc. The offer a strong, dependable and long lasting electric strike solution.